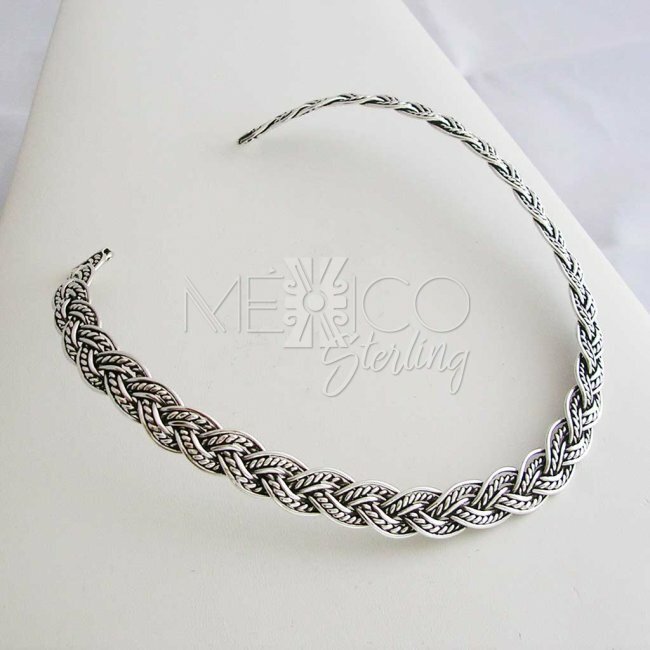 Handmade Taxco Silver Choker - $120.00 : Mexico Sterling Silver Jewelry, Proundly from Mexico to the world. 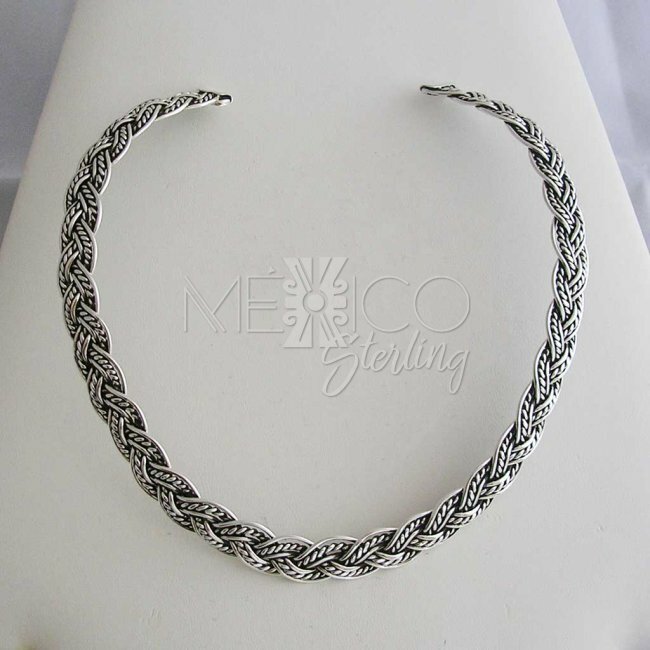 Dimensions: W: 1/2" Inside Circumference: 16"
Gorgeous Mexican silver choker with a nice braided pattern. 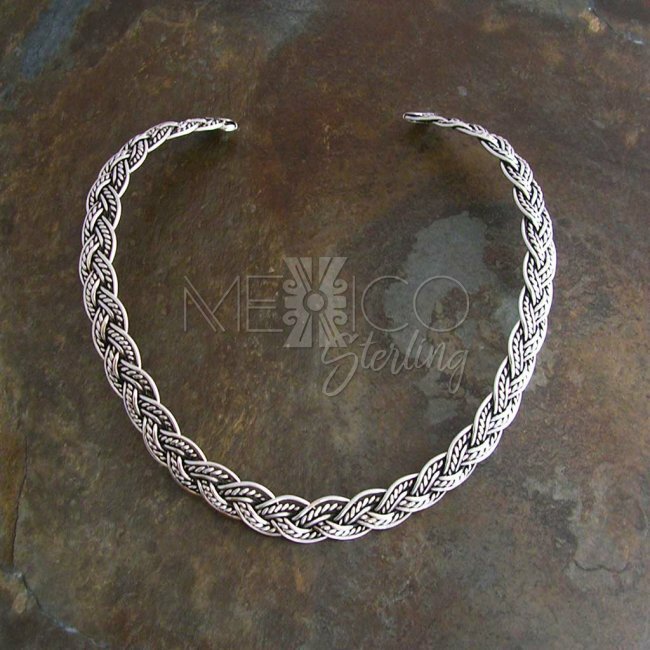 This nice piece of jewelry has 2 different braided jobs that combined, make a wonderful silver piece. 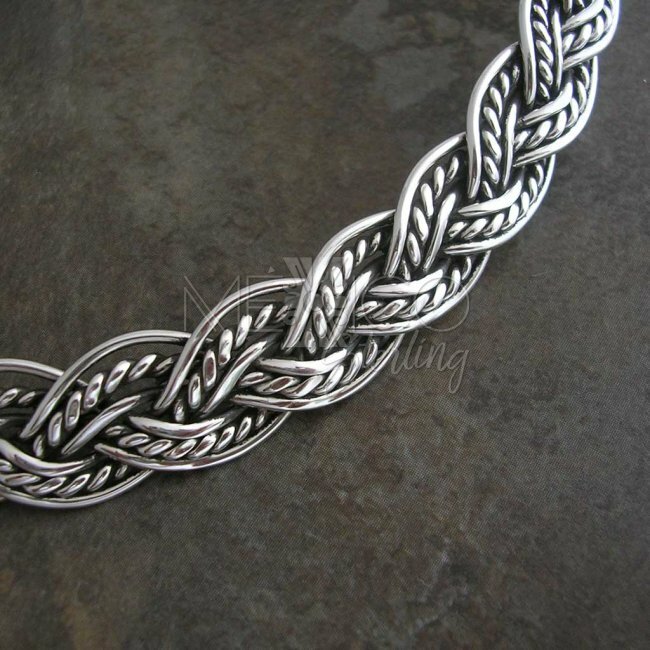 It was beautifully crafted and finished, with a well thought design. 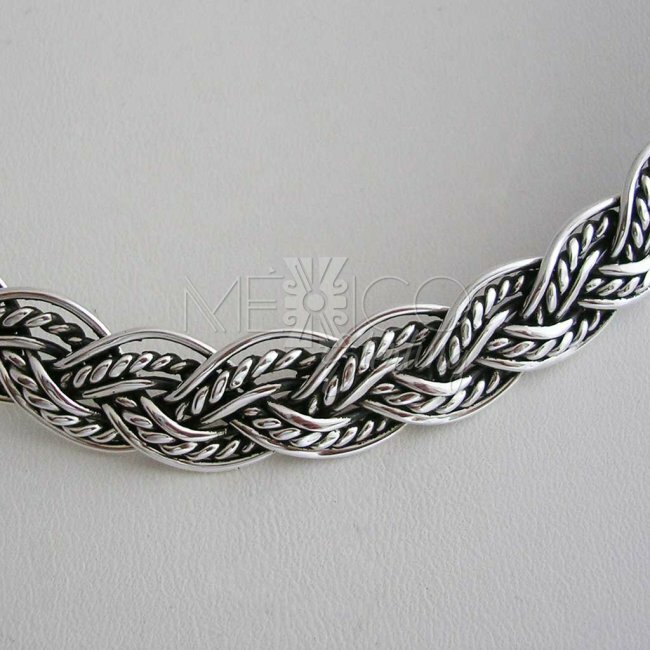 It is also a sturdy piece with a substantital weight for its built and size. 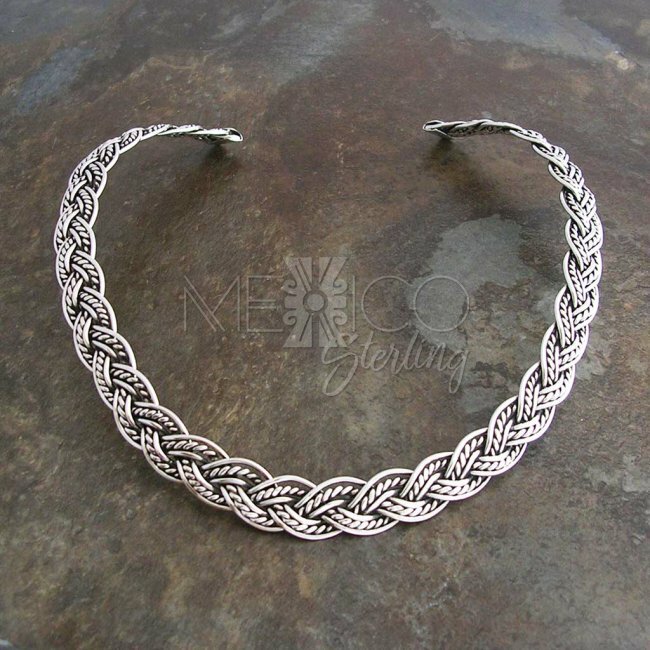 Please take a minute to see the additional photos for more details on this choker.